At it’s core, asset management is looking after something on behalf of someone else. It's really as simple as that. And within the hospitality industry, asset management enables the communication between an owner, an operating company, and the team on the ground in the hotel, making sure that in between those three parties, people actually understand each other and each other’s goals. This is all within the overriding goal of maximizing the value of the hotel investment in such a way that all parties benefit. The value of a hotel depends almost entirely on its commercial operation and the Net Operating Income (NOI) that it makes. An owner may not necessarily always want to invest in a property. But that's not always a matter of them being stingy. They have a specific philosophy and a strategy behind that decision. When tidings are good and a high valuation is important that is a sensible approach. A management company and the team on the ground need to understand that. And when they do, they might be able to say, “Okay, if we do it like that, we can hold off on a refurbishment for two years as long as we jointly maintain the hotel.” In this way, all parties involved can maximize on an asset value, because the value of a hotel is not determined by the bricks and the mortar, but by the commercial operation. There are two extremes when you look at types of Asset Managers. It’s important that you employ a balanced approach between these two. On one side, there’s the risk of acting as a glorified General Manager. There are a lot of Asset Managers who come from an operational background, looking over the General Manager’s shoulder, as a sort of “helicopter” Asset Manager. This doesn’t add value. Remember, you're already paying a General Manager to do a job. So if he or she doesn't do a good job, then he or she should be replaced. Whilst you need to understand what's happening in the hotel operation, you also need to delegate responsibilities back to the GM and team as needed. The other extreme kind of Asset Managers is a real estate driven person who comes directly from university, and goes straight into becoming an Asset Manager based on largely theoretical knowledge. The problem here is the lack of real-world experience: They've never pulled a pint, they've never made the beds, and they've never made the mistakes that come with working day-to-day in a hotel. So they come from a very theoretical angle, which can conflict with actual operations. But fear not. There is a middle ground in which you should position yourself. “Goldilocks” Asset Management is not too hot nor too cold, but just right. You balance your involvement with the GM and operations with your bigger picture strategy, thus maintaining balance between the hotel staff, operations, and owners. You look out for the overall valuation of the hotel, keeping in mind that when NOI is maximized, the hotel value will go up (equals a happy owner), the incentive fees will go up (equals a happy management company) and bonuses are achieved and career opportunities are created (equals a happy team). So how is asset management influenced by modern technology and data? A better question may be, “How is it not?” First off, data is really important in order to get the backbone of what you're going to do with any hotel. As an Asset Manager, I always spend a day or two going through data with a blank sheet with the goal of understanding what the market is like. Let’s say I started working with a new luxury hotel in a secondary European city. This is a good example because this city is an interesting market: It's not Paris or London, as the demand here is more nuanced and harder to predict. Now, I know roughly what the peak days are for this market– There is a cultural festival in July that is mega and I have a high level demand calendar. But for the rest of the year it's a pretty sleepy town, there's not too much happening. From this point, I’d do further research and data analysis to better understand that hotel and that location’s circumstances. And I would then critically assess the pricing strategy of the property and its wider competitive set. Now would be a good time to take you through some of the process involved in understanding a hotel’s position in their market, space, region, and country. All of this is intrinsically informed by data, both small data from the hotel and big data from external sources. The first thing I do is go into a metasearch engine and take the next twelve months ahead, trying to find all competitors and then see what each looks like on the web. What's your pricing for the next twelve months? I’ll take the middle of the month and a full week. So you get a weekday-weekend mix, and I’ll see what's out there in the market and how the target hotel is positioning itself against the competitive set. I also look at how responsive a hotel is. What does your TripAdvisor look like? All of this information is out there and more or less available to the public. As I write this I'm here in Orpington, UK, (in the middle of nowhere!) and I can do all of my desk top research right here to get a very good picture of your hotel’s pricing strategy. Once I have that information, I can overlay the results of the hotel versus what is out there in the market, and see if they're responsive– if they're pricing themselves within reason. 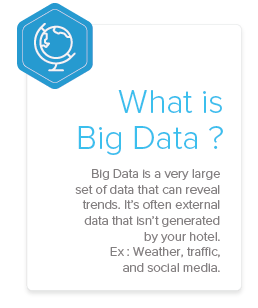 All of this “big data” helps us understand how the hotel is working within the larger market. Next is the fun part where we collect the more immediate, small data to create a comprehensive picture. First, my team will make a booking and see if there’s a hunger for potential business. I’ll throw it at the entire comp set and see what response I get. From one side I may throw out a wedding anniversary. In this day and age if I look for a telephone number and physically call the hotel, they have a definite captive audience. So if a youngster working reception seems blasé and doesn’t take down all the necessary information or convert the business, that’s a crucial tell. We will also send an email to the conference department saying we want to do a small meeting, maybe three days, twelve people in a meeting room, and see what they can do for us. We’ll check how fast do they respond to it, if they follow up, et cetera. That is then overlaid with the other hotel data from earlier. 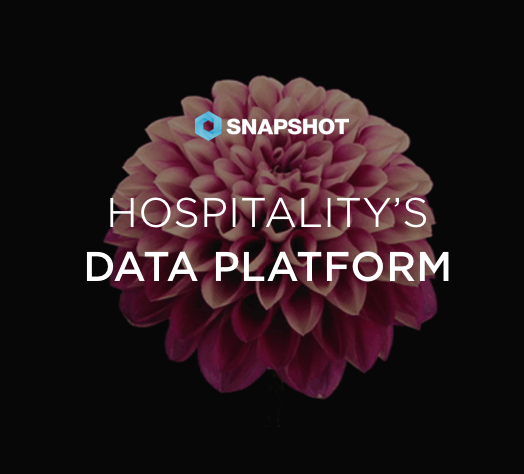 To brush up on the most common types of data and analytics encountered in hospitality, click here. Next is setting up a meeting with the entire senior team for a thorough investigation into every corner of their business. This is not done as a way of “catching people out” but working on a strategy together. Based on that, we do a report, bring the owner back, and the three parties sit together and see if we can reach a strategy that is beneficial for all parties. There is always something to be found here because each party has a different focus based on their goals and expertise. For instance, there are parts of the operation that don't make money for a management company so their focus is automatically less: Things like balance sheet control, debtors and creditors, fire safety, local legislation, and so on. So it’s not just looking at what’s driving a profit and loss account, but looking at the peripherals as well, from a sales and marketing perspective and from the technical side. Here you can also see how the hotel adheres to brand standards and whether they are helping or hindering it. For instance, If I can refurbish a room for half the price and be “off-brand” that will certainly be a consideration. However, if the brand standard is well executed and has a proven return, it’s also worth thinking about. The steps in modern Asset Management are many, and involve not only many players but many data sets, both big and small. From this basic introduction, you can begin to see how the relationship between hotel owners, operators, and teams are interlinked an affected by external sources, often beyond their control. But with strong asset management in place, everything can work harmoniously. 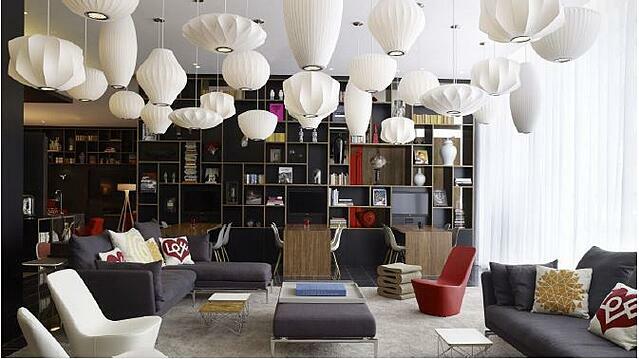 where we take a closer look at how data is changing hotel asset management today.